Hiring a freelancer can be a tedious job for some. There are so many things that the employer should keep in mind, and still, there are chances of making a wrong hire. However, due to this problem, many people have started providing services that shortlist the freelancer’s caliber and provide their best qualities in front of the job givers. This process has really made the work of hiring freelancers for the job like web development, logo designing, content marketing, content writing etc., an easy kit. If you are looking for a freelance web developer, then first you should be clear what job responsibilities you want the freelancer to handle. But before that, let’s see what a web developer actually does. A web developer is a person who is responsible for assembling and coding the website, optimising it and maintaining it along with many other big and small technical responsibilities associated with it. They are not the ones who make your website look pretty by setting up its layout (This is actually the work of a web designer). However, when you hire a freelancing web developer, you are most probably be given a chance to receive both the facilities in a single package. Why a Freelancer Web Developer is a better option than hiring a big agency? A web developer is like a gold mine who can help you in achieving maximum outreach that will help in sales. This is what your ultimate goal is, generating revenue from your website. Yes, the freelancer is independent in following his working pattern. It makes you independent as well. You do not have to wait for next day morning for even minor updates or a long weekend cannot be a hindrance in your work. You just need to shoot an e-mail on Friday night and your work will be accomplished before Monday morning. This is because you get 24-hour support from your freelancer web developer. That’s the flexibility that hiring freelancing web developers provide to you. Adding to that, your website is supported for 24×7 without any delays due to calling off the day. Freelancers are available at much affordable rates than any web developer company. It is for the simple reason that a freelancer is a single person who works and earn and a company comprises a full team that you may not even need help for. Thus, the difference in rates is there. Another thing that you get an upper hand in hiring a freelancing web developer is that you can check their previous work and be assured that the person you are hiring has all the required skills that you need. You can find a great level of expertise in the freelancers. You just have to pick the best match and rest assured that the work will be done according to your preference. As the freelancers work with different clients, they are not just limited to develop a specific skill set. They are experienced class and they can perform better with these skills. 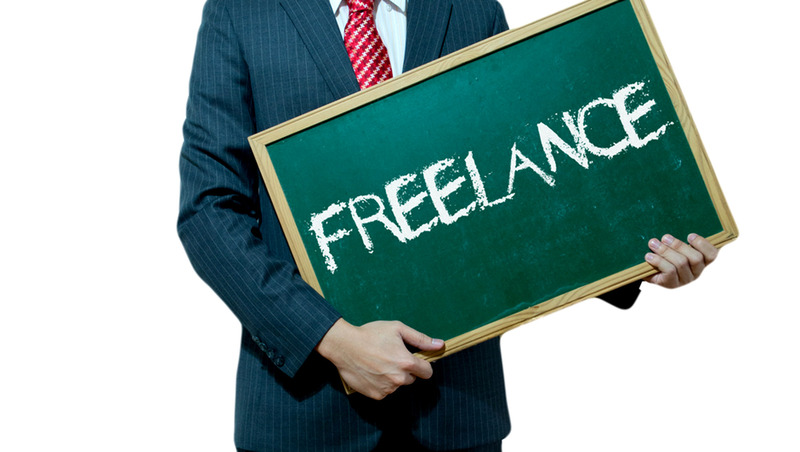 Take advantage of the experienced freelancers and use them for your own benefit that too at such low rates. A freelancer is a single person so he has limitations of filling his kitty with lots and lots of work. They concentrate on projects fully and thus deliver the work prior to the deadline. This is the biggest difference between a freelancer and a web developing company. The companies give their priority to high paying clients. Thus, if you are providing a mediocre range project, then expect yourself to be put on a cold burner if your hired agency finds any high ranging project. On the other hand, a freelancer’s focus is to focus on your work, at all times and they are quick responders. So, that was another very important feature that lets a freelancer in having an upper hand in the web developing business. Now the main question is from where you can hire freelancers? The internet is clogged with so many websites that claim to provide freelancing facilities. However, they are a pool of self-proclaimed freelancers who might not even know what skills they have and whether they are experts in whatever they have mentioned in their CV. Indian Silicon Valley is an ideal freelancer finding site. They are not just ordinary freelancer listing website and does not let you wander off in a huge pool of freelancers. The services provided by this organization ensure that the freelancers are mentioning only those qualities in which they hold expertise. A freelancer undergoes a series of questioning and skill test round with the Indian Silicon Valley team. You can ask for the portfolios of the freelancers. This makes it a better process as you just have to scrutinize only a few applications from the shortlisted ones rather than jumping in an uncategorised list of freelancers. Apart from this, you can freely chat with the freelancer that you want to hire and take a skill test that you may have designed. It is all a very simple and time-saving deal with this website. Money is what the game is about. Freelancers are working to earn money and you want to earn money which is why you want the freelancer to work. Now what matters is how you can get value for your money. Indian Silicon Valley has developed an interface that releases the funds to the freelancer only when your work is considered complete. So there are no chances for any fraudulent cases where any person takes away all the money without any work completed. And all these services are without any commission fee involved. Now you don’t have to break your bank just because of the overcharging middlemen. If you are also looking for an appropriate freelancer who can work according to you, then you must visit the Indian Silicon Valley website http://www.indiansiliconvalley.com/ to place the deal. Also, don’t procrastinate, who knows, your best fit may be someone else’s project handler. Book your freelancer before it is too late only on Indian Silicon Valley. Previous Previous post: I Want to Change My WiFi Password. What Should I Do?